We handle each aircraft with expert precision through our ramp services delivering a wide range of aircraft handling functions. Through our services we ensure timely loading and unloading of all checked passenger baggage. Our services are efficient and safely done through our special equipment of belt loaders and baggage carts to get the job done. FMC high loaders are efficient, reliable and equipped with safety features providing only the best to move and transfer loads. Providing an easy loading solution through any amount for containerized aircrafts. In order for the optimum aircraft performance, we ensure accurate calculations are generated for weight and balance and other contributing factors for proper distribution of load within aircraft standards. Providing only the best load control and operations for each aircraft. We provide stairs to help facilitate safe boarding and deplaning. Different models are supplied to adjust height to accommodate various aircraft. Optional features may include an overhead and supplementary lighting. Our towing and pushback services ensure the aircraft is safe and operational. 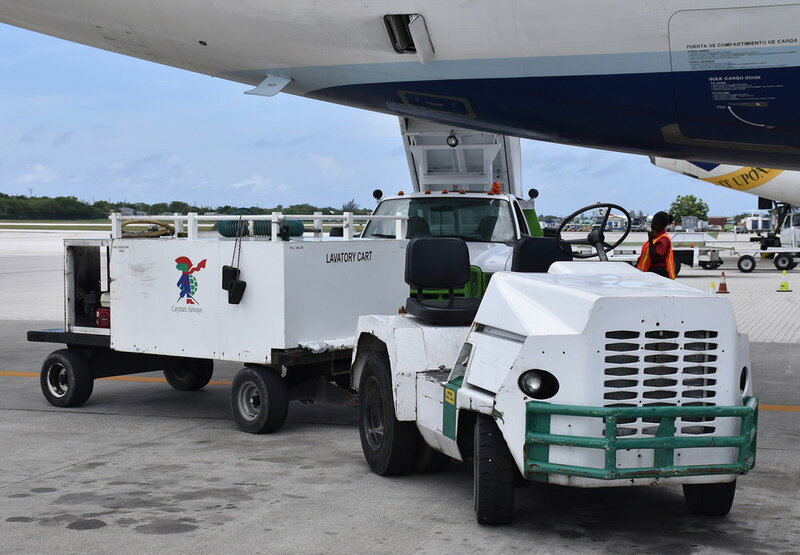 We provide special pushback tractors and tugs to help facilitate the aircraft for efficient takeoff. Positioning aircrafts reliably and safely, and executing all repositioning movements with the proper maneuvers. We provide easy and quality service for optimum aircraft operation. Through our service we supply GPU for electrical power to help start engines, general onboard power, and to perform maintenance when on ground. Through our service, we supply the air starts needed for initial movement and rotation of aircraft engines by pressurized air. Providing quality and reliable service for your every aircraft need. 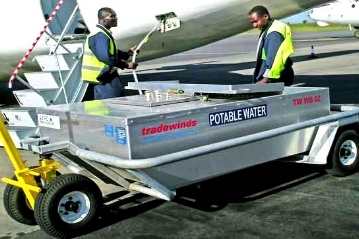 Our potable water service provides quality water to aircrafts with reliability and consistency. The water delivered is filtered and protected from any harmful or chemical elements while stored before delivering. Our lavatory drainage service is designed to clean and refill with a disinfectant concentrate. Professional personnel ensures a sanitized lavatory before the aircraft is operational. When flying you can expect a very clean and comfortable travel environment. Our air conditioning service is the most vital component provided during flight operation. During flight, passengers are able to adjust the air conditioning when needed providing a cool and enjoyable travel experience.